You are the only one, who can save Santa and bring this Christmas presents to children. This is a real Pigsaw in his house! It's awful! Just explore each room and do everything to stay alive. You will also meet a lot of ugly people. Could you believe that? Well, yeah! 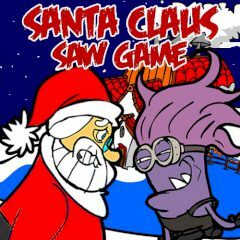 This is the Christmas Eve and the evil Pigsaw has capture Santa Claus to force him to play this game. That is why you are the only one, who can help him to escape as soon as possible or there will not be any presents anymore. Everything is so easy! Just collect all the items and try to use them rationally. Be sure that you can cope with it. So, if you are ready for that, then just go ahead and save Santa as soon as you can. I know that you will do it. Enjoy the game.